How do you get a nice, neat kiss ike that? Mine are always trying to lick me!! This is an adorable picture though!! What a sweetie! yes, I kiss my dog on the mouth 😀 Doesn't everybody? 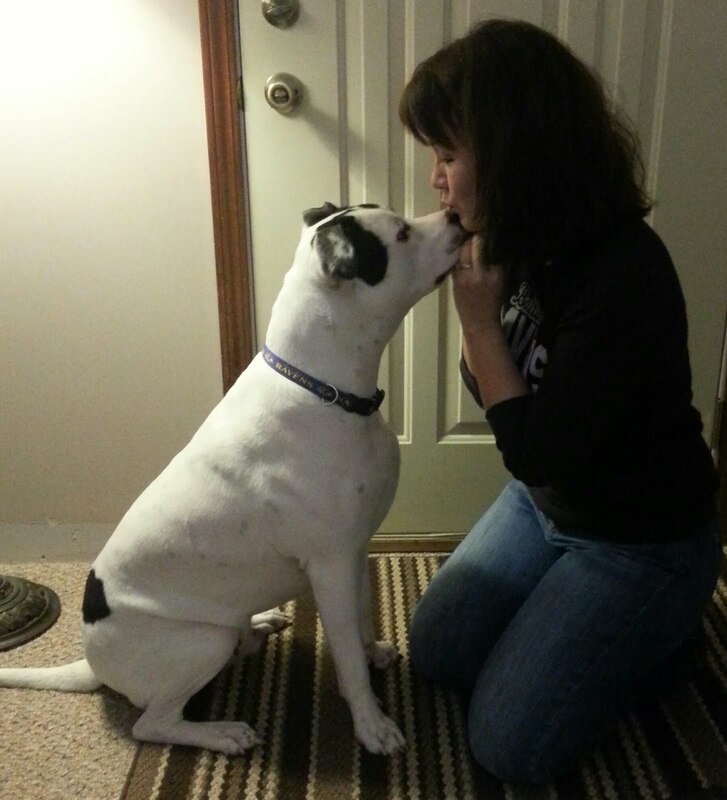 I was never much of a doggie smooch lover till Maggie! Pittie kisses are the best!